Script ini sudah beredar dimana-mana, mending saya tulis dipostingan buat update blog. Kali aja ada yang butuh ehehe. Oh iya, sebenarnya script ini berbayar, namun anda dapat mendownload script Personal Portfolio / Creative vCard secara gratis di Doza 's Blog. 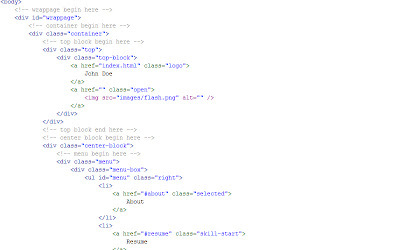 There is full description and content of HTML-code in each of them. There are three css files necessary for customization. "css/style.css" -Is the main css file. 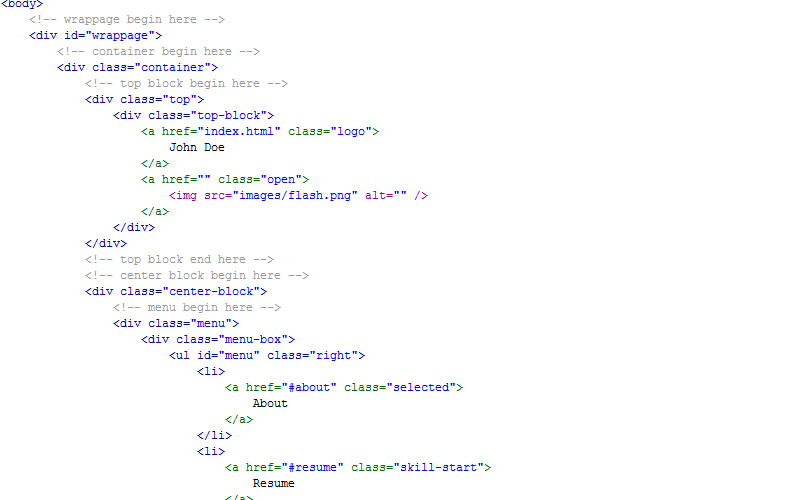 "css/reset.css" -Is the reset html css file. "css/jquery.jscrollpane.css" -Plugin jscrollpane css file. "css/prettyPhoto.css" -Is the prettyPhoto css file. "css/fonts.css" -Is the @font-face css file. "css/ie.css" -Is the fix IE 7-8 css file. kalo intuit hosting ya bg? Thank kak izin sedot dulu!! kalo ganti link twitter facebok dan blog dimana kak tempatnya ?